I’ve always wanted to do a by the numbers post for one of our trips and have just never gotten around to it! Before I get into all my detailed posts about our babymoon, I thought it would be fun to break down our vacation a little bit. When I say full, I mean full. We did so much on this trip, and I can’t wait to share all the details! I actually tried to limit going out of the way to see lighthouses because there were so many other things to see, but we still managed to see nine, and I’m not complaining! At one point in our planning, I turned to Chris and asked if he would hate it if we ended up doing three boat tours. Thankfully, he agreed because we loved all three of them! They were all different, and I’m super excited to tell y’all about them. The amount of time we waited for a lobster roll at Red’s Eats. You’ll have to wait for my post on it to hear all of my feelings on that, but it was an interesting experience! We flew into Boston and spent some time in Gloucester and Rockport before driving on to Maine. 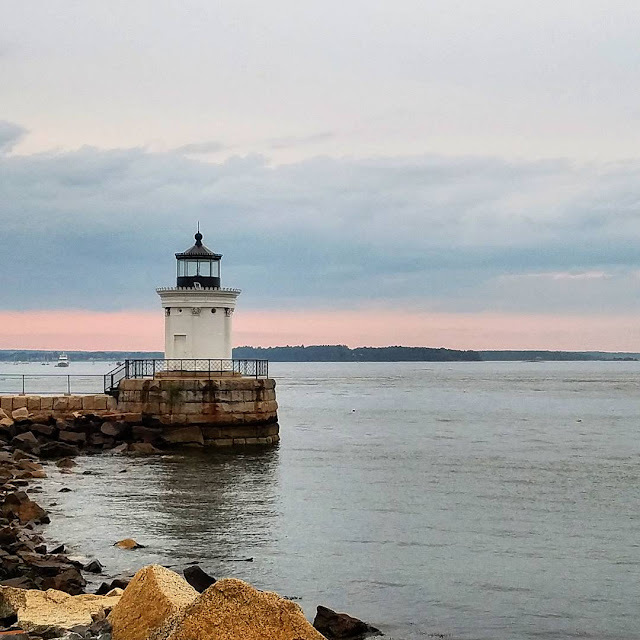 On our way back, we spent the night in Kittery, Maine, which also gave us the chance to explore Portsmouth, New Hampshire. I’m only counting our two big hikes in this number, and boy, were they memorable! 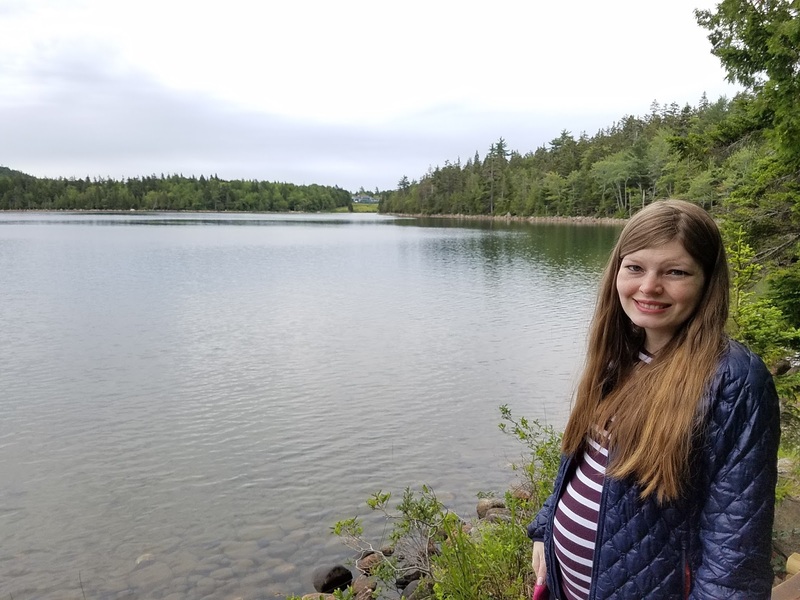 I love hiking, but hiking pregnant was a whole new experience. The views were completely worth it, though! I sure do love traveling on our Super Week. It’s so fun to celebrate all of our big occasions in a new place! Christopher’s birthday was the day before we left, but we celebrated it along with my birthday and our eighth wedding anniversary on our trip! Of course, we also celebrated our last big trip before baby boy’s arrival! 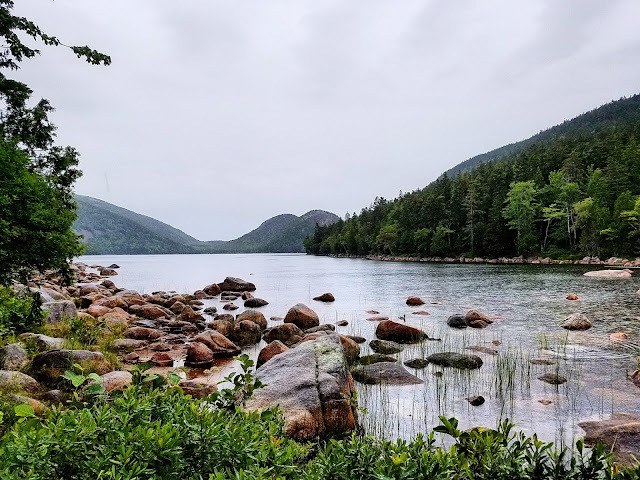 I must say I love that you have buy a seven-day pass for Acadia because it gave us a chance to split up our time there and see as much as possible! This is where I made a mistake, friends. I didn’t discover blueberry lemonade until nearly the end of our trip, so I missed out on several days of having this amazing drink. It’s one of the best lemonade combinations I’ve ever had, and I sure wouldn’t mind getting a few gallons shipped to me in Texas! I know I’ve mentioned it before, but I will usually eat crab over lobster any day. 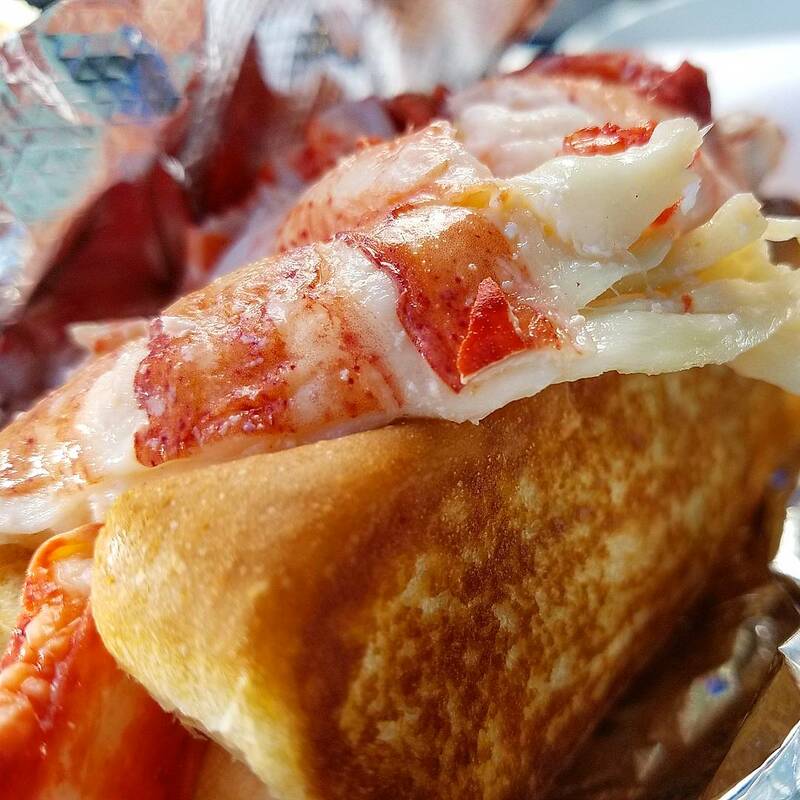 Of course, that’s not the case with fresh Maine lobster. At the restaurant we went to for my birthday, I had lobster and corn chowder, lobster cakes, and lobster fettucine alfredo all in one meal. It’s just that good. I cant wait to hear about the rest of this trip. Sounds so fun! I seriously can't get over how gorgeous it is! So many boat tours and lighthouses- this place was 100% your guys' kind of place :) I love the vacation-by-numbers!! Can't wait to hear more about this trip!! Ah! I love this post! 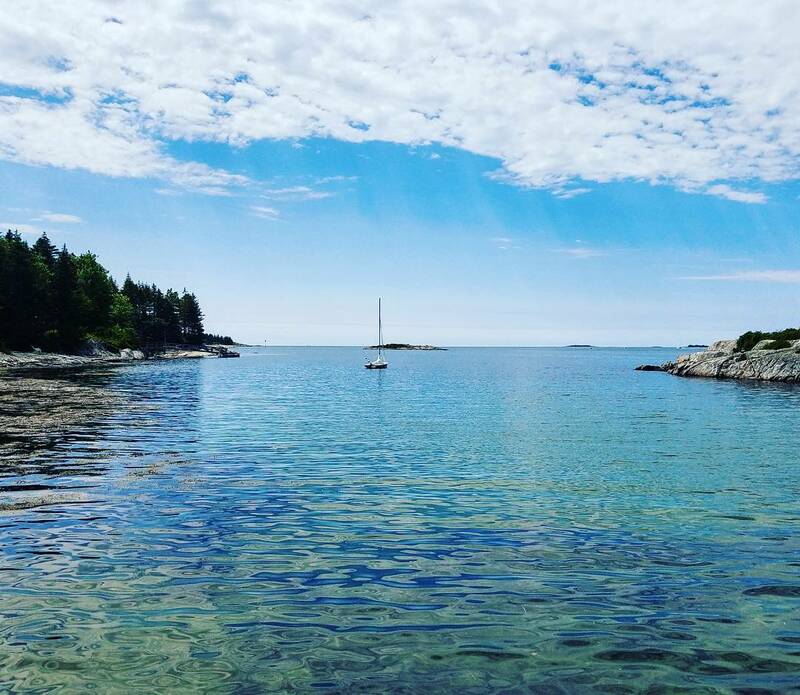 We have a Maine trip on the books for October and this has me so excited! All the lobster sounds delicious! And hiking while pregnant is DEFINITELY a whole different ball game. I hear you there! Sounds like a fabulous trip! I love lighthouses too. I love blog posts by numbers! They're always so much fun! your Maine trip sounds absolutely amazing, and I can't wait to hear more about it! Chris and I have been itching to get up there too, and I know that we'd eat a ton of lobster while we were there! What better way to visit a new place than with the help of an Ohio tourist guide?http://greenvisa.io A tourist guide is most commonly found in the form of a book or booklet that focuses on a particular state, region or locality, and offers a wealth of information to travelers. What a fun trip! 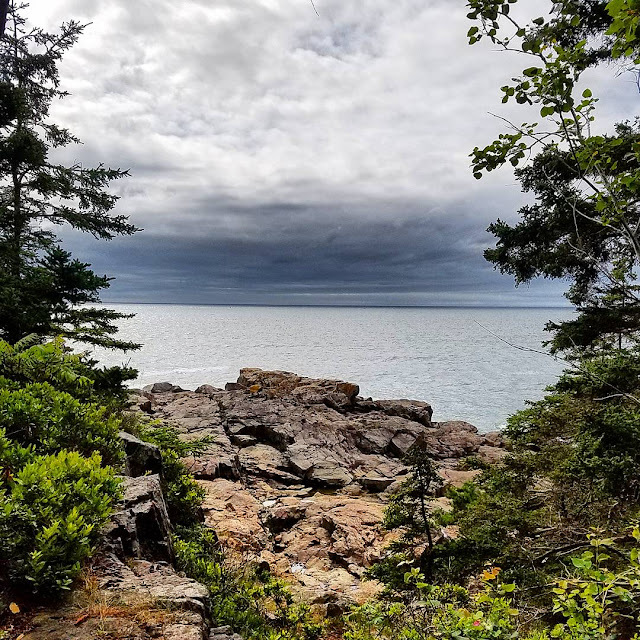 I so want to visit Arcadia National Park. Looking forward to hearing more about your trip. How fun! That lighthouse picture is gorgeous! Can't wait to hear more about it! I heard Arcadia is amazing! It's our goal to travel to as many national parks as possible. We just got back from visiting the Grand Canyon. Kudos to you to getting out there and hiking while pregnant. I'm sure it wasn't easy. Did you have to stop for multiple pee breaks, lol?